A cute laptop bag is also very necessary to the girly woman! What better way to carry our cute laptops (yes, even our laptops are cute, of course!) than by using a cute laptop bag? I found a few of the cutest and girliest laptop bags being sold! Most of them are also very affordable! *This cute and unique laptop bag will carry a netbook or small laptop up to 13.5 inches and also textbooks, notebooks, cell phones, pencils, MP3 players and much more! Cute laptop bags make great girly gifts too! A pink leopard laptop bag! Perfect for the girly woman! 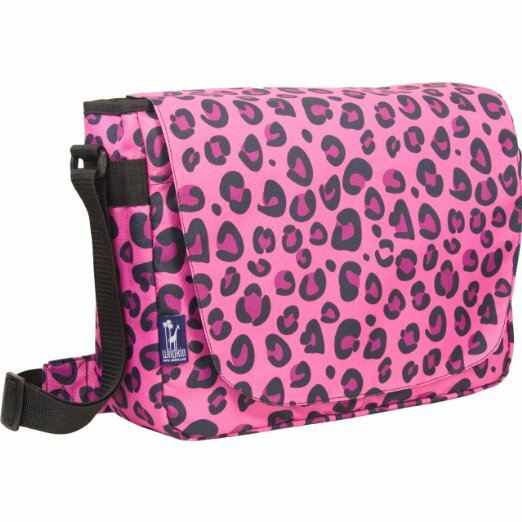 This cute and very practical pink leopard messenger laptop bag will fit a regular sized laptop or even a bigger 17 inches one and your power adapter with cables! It also has two pockets outside, to keep everything else organized and easy to find! Makes a super fun girly gift idea anytime! Cool Peace Sign Laptop Bag! Another gorgeous and unique laptop bag! I love this huge peace logo and the retro style! It’s very eye-catching and it also makes a great gift to anyone! 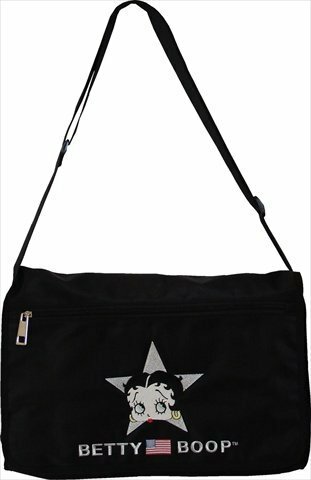 Cute Betty Boop Messenger Bag! This a such a cute Betty Boop laptop bag for sale! Makes a great unique gift to a girly Betty Boop fan in your family! It will fit regular size laptops and up to 17 inches! There’s also a lot of rooms for other papers, documents and notebooks inside! 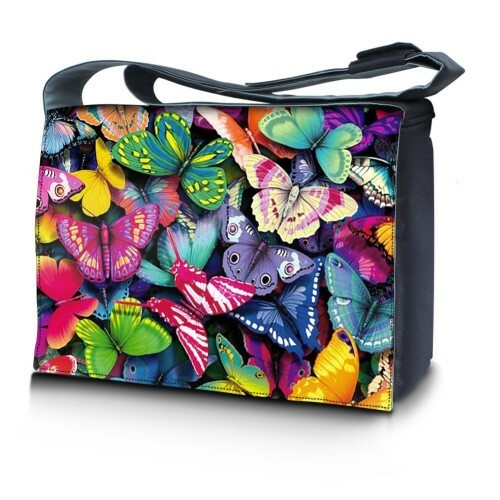 Cute and Colorful Butterflies Laptop Bag for Sale! What a gorgeous butterfly laptop bag! It will fit small laptops up to 15 inches and will also fit textbooks, notebooks, MP3 players and other small accessories. 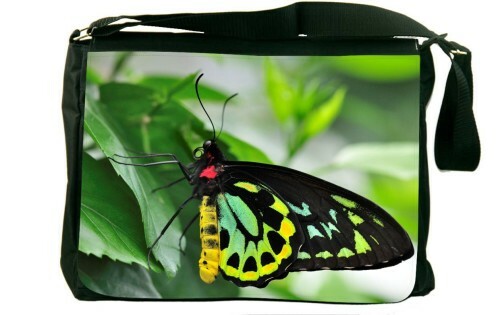 This cute butterfly laptop bag will make an awesome butterfly gift to any girly women! Another colorful and very cute butterfly print laptop bag! Girly women love butterflies and butterfly stuff, so you can’t go wrong by giving a girly woman a colorful butterfly laptop bag! 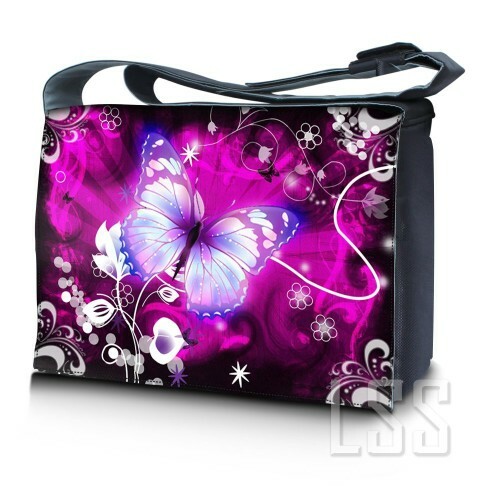 This is a very classy and elegant purple butterfly laptop bag for the busy girly woman! It will fit a 15 inch laptop, all your documents and much more! It has several pockets and compartments inside! It is very soft and comfortable to carry. A couple of girly buyers also said it is perfect to use as a school bag as well! Cutest Laptop Bags for Sale! 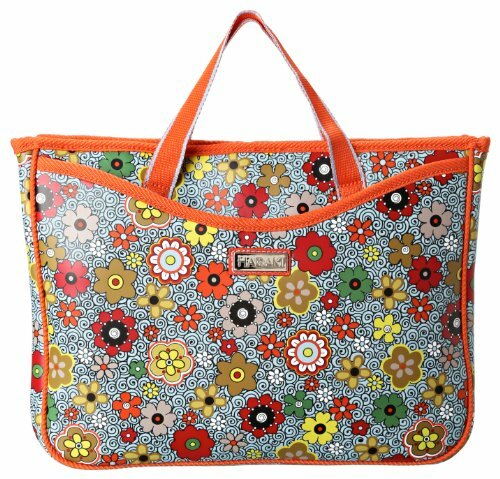 This beautiful floral laptop tote bag is very girly! It’s my favorite from this page! It is also large enough to fit most 15 inch laptops. Makes a great gift to any woman in the family. 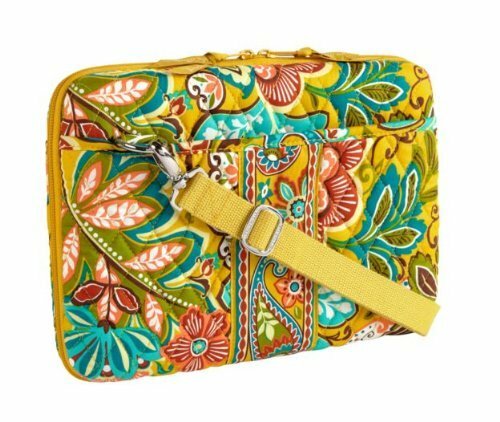 Gorgeous Vera Bradley Floral Mini Laptop Bags for Sale! Vera Bradley makes the cutest cotton laptop bags around! Her girly laptop bags are always very colorful! These will fit a mini sized laptop computer and they usually come with a zippered side pocket as well! I also love the fact that we can wash them when they get dirty! 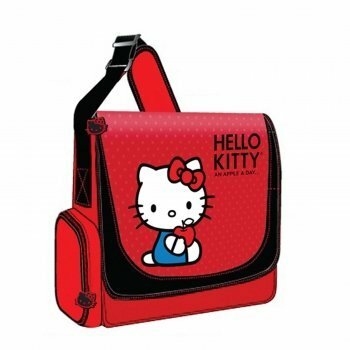 Hello Kitty fans are going to love this cute red Hello Kitty laptop case! Be a proud girly girl with this cute laptop case! Great girly back to school gift idea! 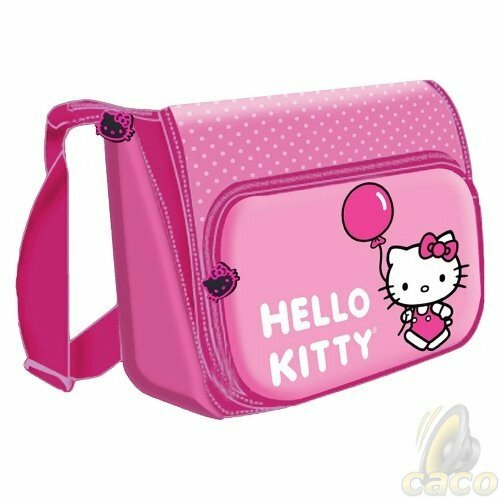 PINK Hello Kitty Horizontal Messenger Style Laptop Bag! Another cute laptop bag for you! It is a pink Hello Kitty bag for 15.4 inch laptop computers! Makes a wonderful gift idea for teenage girls! The interior is fully padded for extra-protection. Thumbs up! Glossy PINK Laptop Tote Bag! Gorgeous glossy laptop bag for girly women! It is very stylish and very spacious as well! It will fit laptops up to 17 inches! Great gift idea to any women! Beautiful Green Leather Laptop Bag! 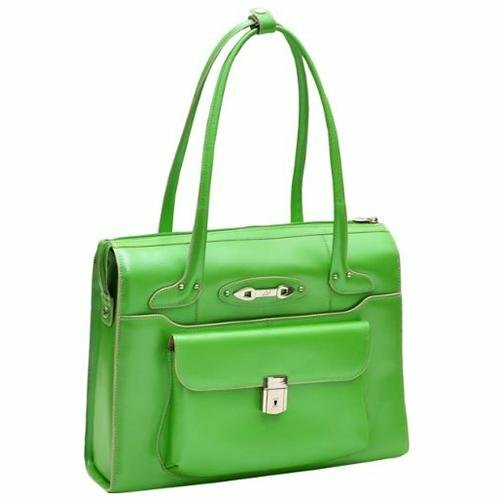 This is a gorgeous green leather laptop bag! It is very elegant but still girly, because of the strong color! You can get it in several different colors as well! It is made of Italian leather and will get you lots of compliments! Perfect gift idea for the girly business woman in the family! 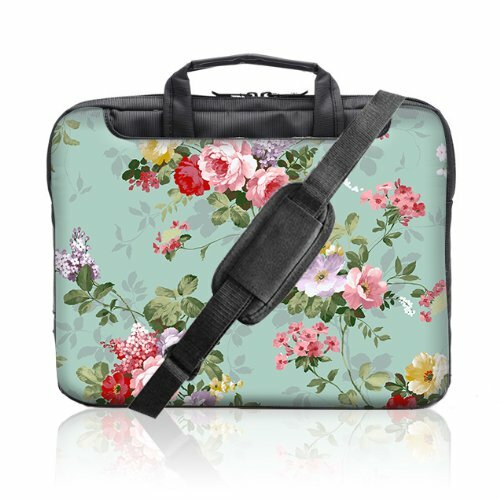 Another Girly Floral Laptop Bag for Women! This cute floral laptop bag is very unique and girly of course! It fits regular sized laptops and it’s very lightweight to carry! It also has handy pockets and the fabric is waterproof! Will make a fun and very cool Christmas gift idea for wives!